Hawaii's first surfing institution in the Hawaiian Islands the Nancy Emerson School of Surfing has been teaching and coaching people of all ages to surf since 1973. Focusing on the complete surfing experience, the surf school places a strong emphasis on water safety, ocean awareness and surfing etiquette. Hawaii's first surfing institution in Hawaii, Nancy Emerson started “Nancy Emerson School of Surfing” and has been teaching people of all ages to surf since 1973. 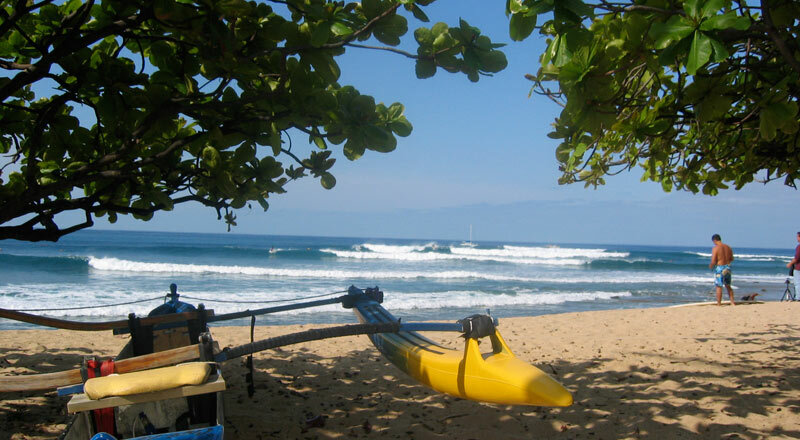 Focusing on the complete surf experience with Nancy's Hawaii surf lessons and surf clinics. 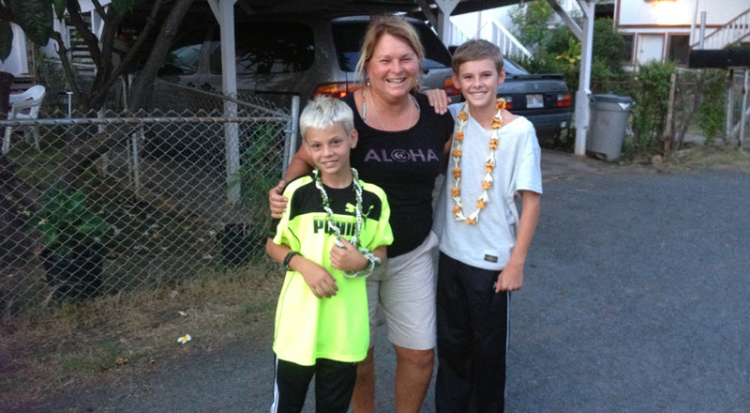 Nancy Emerson surf schools in Hawaii place a strong emphasis on water safety, ocean awareness and surfing etiquette. Coaching with a keen eye to the subtle aspects of form and style, with a specialty in developing a proper foundation for the beginner and first-time surfers, as well as providing the tools and techniques to help hone the skills of even the most experienced surfer. 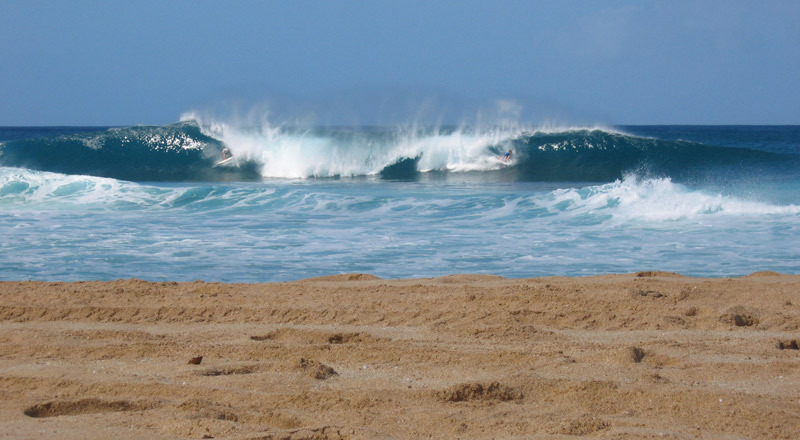 Private Oahu surf lessons will give you a personalized instruction, customized to help you achieve your surfing goals. Private lessons are perfect for the first time beginners who want to learn the fundamentals of surfing. And for the intermediate surfer, who wants to improve their skills, practice catching bigger waves or work on their bottom turns, roundhouse cutbacks, staying in the tube longer and walking the nose if you are a long boarder. The Oahu surf clinics are set up with an instructor by your side throughout your entire two or three hour class. 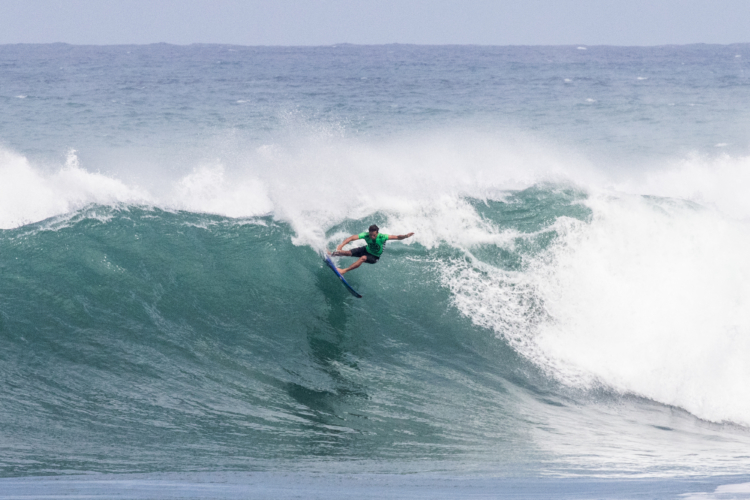 Or more experienced surfers can choose the 5-6 hour sessions on the North Shore or West side of Oahu to work on your focus in the ocean, choosing proper wave, wave knowledge, surfing style, and your technique. 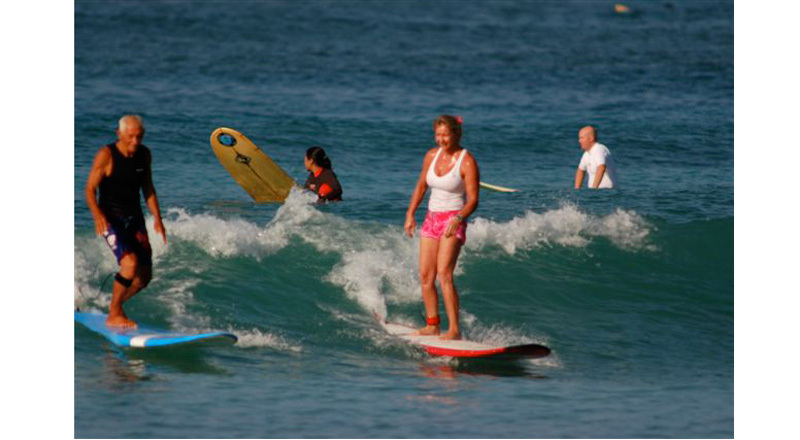 We also offer Private Oahu Group surf lessons for your whole family and friends. Here you will enjoy sharing surfing in an Easy, Fun, and Safe comfortable environment. Nancy has trained all her surf instructors personally and we keep a 4 to one ratio per surf instructor. If you have five or six family or friends learning we add another instructor on to your class to keep your class very personal in your learning. We can also provide longer period of time for large private groups as well. Nancy’s surf instructors and surf coaches are passionate and dedicated to teaching, sharing knowledge and providing a quality experience to each and every one of our clients who travel from all around the world to learn the sport of surfing here in its birthplace of Hawaii. 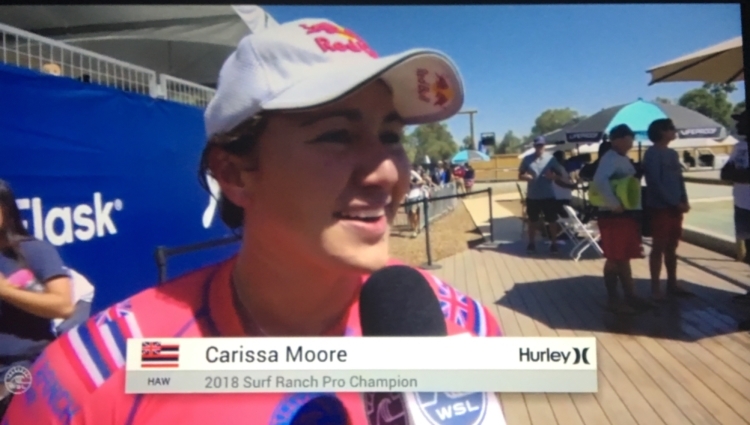 Ms. Emerson has had schools of surfing and surf clinics also in Japan, Malibu, San Clemente California, Florida, Dominican Republic, Namotu, Fiji, Marshall Islands and Samoa and currently on the Gold Coast of Australia, Oahu and Maui, Hawaii. 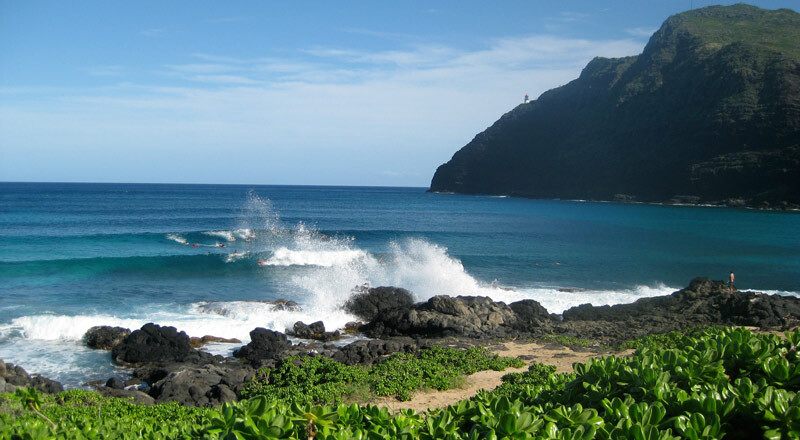 Nancy Emerson School of Surfing will take you to some of the most beautiful beaches and surfing spots along Oahu and other Hawaiian Islands, which will take your breath away. You can also enjoy a late afternoon sunset after surfing on Oahu for a leisurely sunset with Nancy’s favorite Hula dancer at the Halekulani Hotel, or cruise down to The Moana Hotel and listen to beautiful Hawaiian Music. 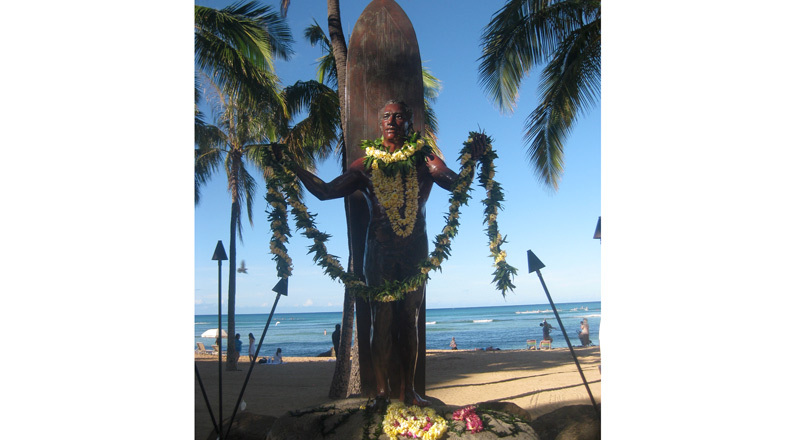 Or pick up some yummy food from Diamond Head Grill or Whole Foods and have a picnic on the Surf Beach at Kaimana Beach near Diamond Head on Oahu, Hawaii. 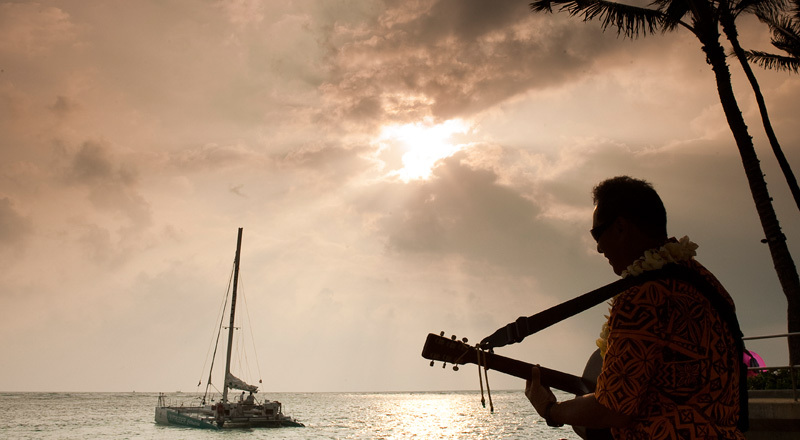 Most Sundays on Waikiki Beach at the Outrigger Hotel out at Dukes, you can enjoy dancing to Henry Kapono’s music till sunset and then enjoy a yummy dinner watching the waves. Adults and teens and children from 10 years plus welcome to come surfing. Children 9 years and under are requested to take a private surfing lesson to ensure safety and the best results. If there are few children the same age, you can make reservations for semi-private classes or private group surf clinic. The surfing lesson starts on the beach, getting you suited up with the appropriate rash guard and surfboard, followed by instruction on ocean awareness, water safety, reading the conditions and surf etiquette. Your instructor will then paddle out and demonstrate these techniques you have just learned. This is extremely helpful to be able to visualize all you will be doing before entering the ocean. Your surfing instructor will then take you out, guiding you through the channel or breaking surf and into the line up to get the best rides of your life. You have plenty of time to practice and go at your own speed. I have a much greater understanding and awareness of surfing now. I have learnt what to aim for and what to correct. It was a great privilege to be taught by Nancy, and all in all the week proved to be a memorable, encouraging and extremely fun experience! 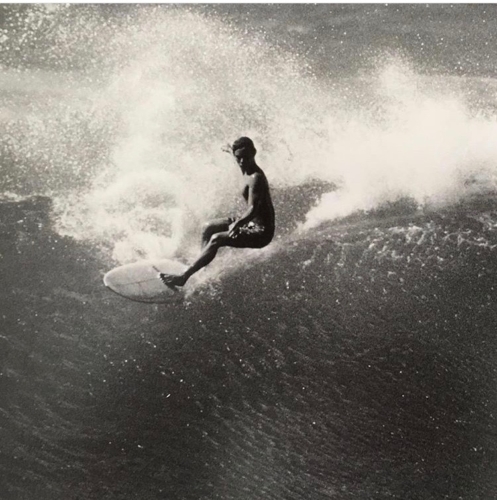 Nancy Emerson pushed me into my first wave in 1986, when we were working on the film North Shore together. I stood up on every wave and fell in love with the ocean. If you want a beautiful relationship with surfing, spend some time with Nancy in the water. 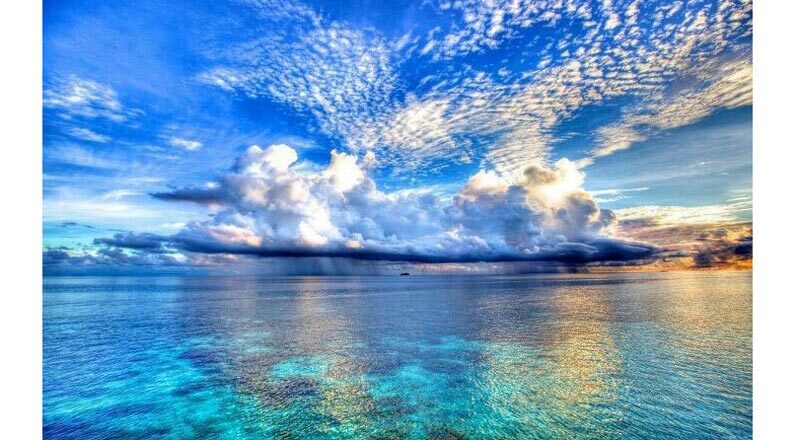 Share in her expertise, her oneness with the ocean and her kind and joyful spirit. It’s what surfings all about.